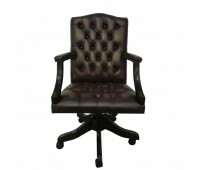 The Gainsborough is a Chesterfield inspired office chair and comes with a swivel and tilt base providing your home or work office with a traditional and stylish feel whilst offering comfort. 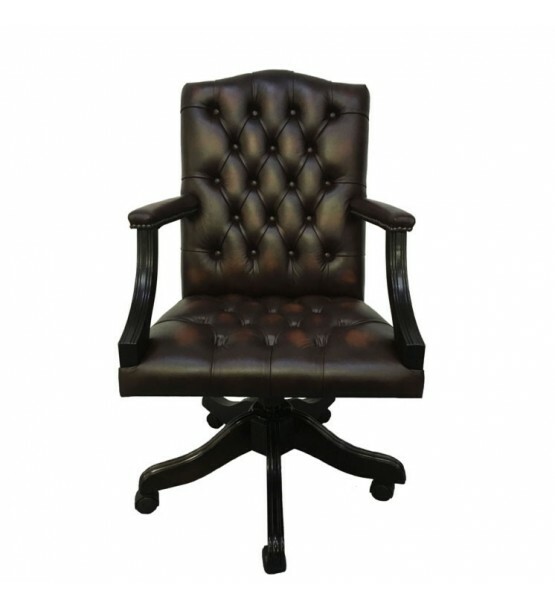 Hand finished in antique brown with deep buttons and stud beading. 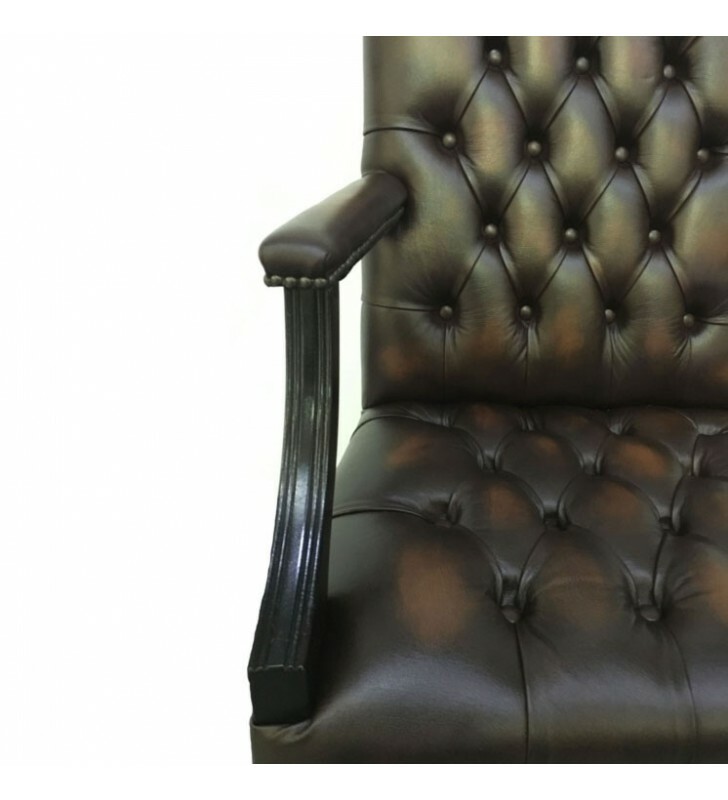 The Chesterfields are hand made in the UK by skilled craftsmen and the frame is a solid beech wood which is doweled and screwed to provide superior and long lasting support. 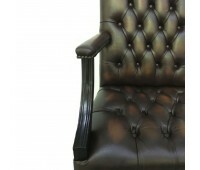 The leather is genuine and a high quality and will provide many years of comfort.